Bhamashah Techno Hub is inaugurated by Rajasthan Chief Minister Vasundhara Raje. 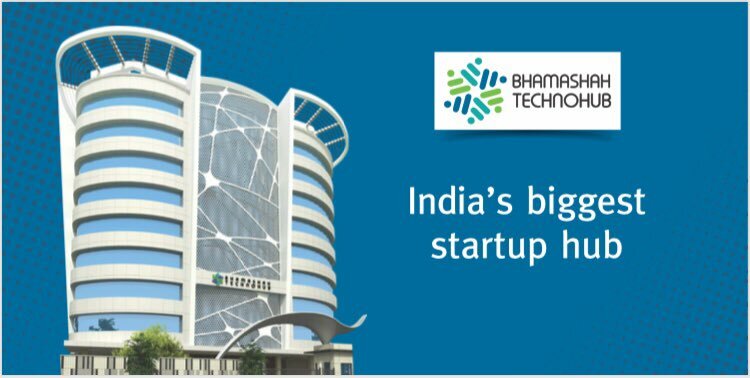 It is India’s largest incubation and acceleration centre. With the aim of promoting startups and budding entrepreneurs, this hub is started. This hub has the capacity to house 700 startups. This is the country’s first Bhamashah Techno Hub, after Telangana. Know more. Established in Jhalana Institutional area of Jaipur, it is spread over an area of 1.50 lakh square feet. It provides connectivity and free space. The best part about this hub that entrepreneurs can get connected with potential investors. It simply means funders are available. The startups will get mentorship from the industry experts. Here, the startups allover India can come and start operations. The hub is equipped with the high class facilities like high speed internet, meeting or conference rooms, restaurant, gym, auditorium, restroom, personal and shared office space, digital museum and other necessary facilities. These facilities are free for one year. In this Techno Hub, every startup will be provided with mentoring and support. There will be on-site consultants to provide guidance. Technical support will also be given here. Rajasthan government has announced financial aid of Rs 500-crore to Bhamashah Techno Fund. Out of the total amount, Rs 50 crore is for green startups and Rs 100 crore for women startups. This hub will give a jump-start to entrepreneurs of Rajasthan. It will enable Rajasthan’s talent to shine and prove their mettle not just in India, but across the world.